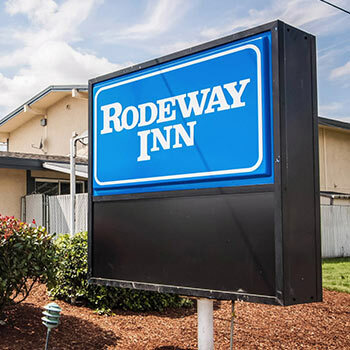 The Rodeway Inn Albany is the hotel of choice in Oregon, with easy access to Portland, Eugene, Salem and Newport. We're close to several universities, and you'll find a host of exciting shops, restaurants and attractions nearby. 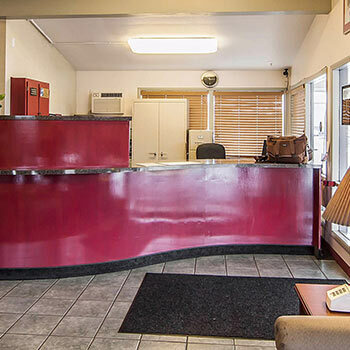 Rodeway Inn Albany is pet-friendly, provides copy and fax services, free local calls, and free internet access for your convenience. 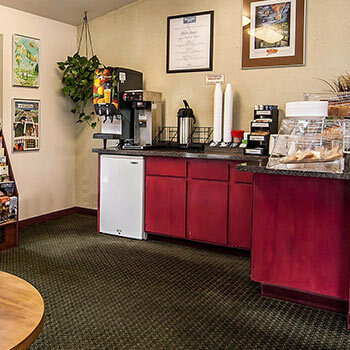 We also offer on-site guest laundry, freshly brewed coffee, daily complimentary continental breakfast as well as outstanding customer service. Our spacious guest rooms feature a bright and inviting décor with comfortable beds, plenty of fluffy pillows, a well-lit workspace and a microwave and refrigerator. 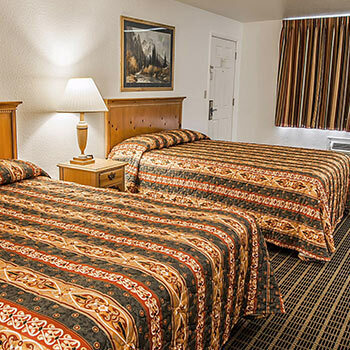 Whether you're here for an overnight business trip, a romantic getaway or a fun-filled family vacation, you'll find everything you're looking for at a price you can afford at Rodeway Inn Albany.